In the text it also mentions how weird it is that her outfit appears to be changed. 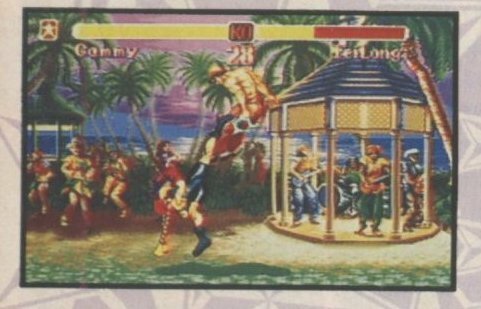 Of course, when the game was actually released, Cammy was still wearing her proper outfit. So what's the deal with these screenshots? If we had to speculate, Capcom probably assumed that her normal outfit was a bit too revealing for Nintendo's platform and self censored it. But this was also around the time that Nintendo started loosening their grips on mature games, so Capcom must've been able to leave it in. 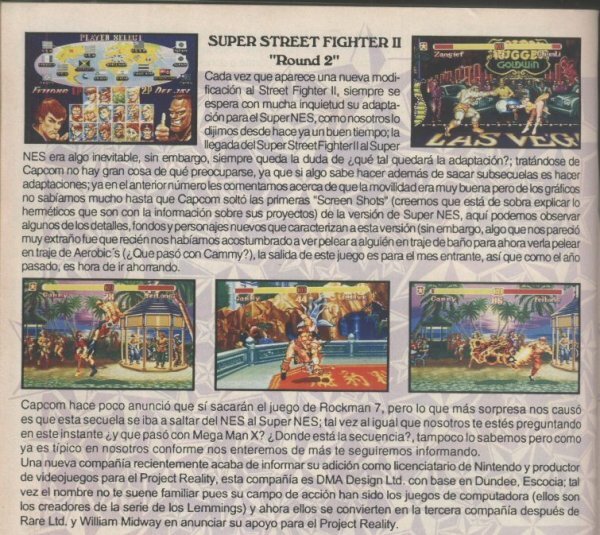 That's from Club Nintendo magazine, a mexican videogame magazine that got distribution on South America (i'm from Chile), i remember reading that! I used to buy that magazine, it was called "Club Nintendo" and was the official Nintendo Magazine for Latin America. Like Nintendo Power, but in Spanish. It was printed in Mexico, but got distributed to all of Spanish speaking Latin America, like Chile, Argentina, etc.